TO ensure a hitch-free implementation of Ikorodu master plan when it is eventually unveiled, the Lagos State Government last week held a stakeholders’ parley with the land/homeowners and residents living within one of the fastest growing suburb of the state. The rapport, it was learnt, was one of the strategies the state has chosen to wage war against illegal development along the axis and to also comply with the international standard on town planning rules. Within the Ikorodu Local Government last week, officials of the state in turns engaged the public, ostensibly to avoid some hiccups that usually trail implementation of master plan, after it has become operation. 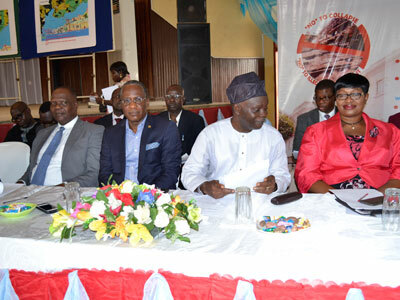 The meeting, held at Ikorodu Town Hall, with the theme: “Rapid Urban Growth: Need for Aggressive Physical Planning for Sustainable Environment”, had in attendance, government officials, traditional rulers, community development associations, market men and women, religious leaders and artisans, among others, ostensibly to ensure that government’s plans seamlessly executed. Agenda for discussions at the parley include the need for property owners to have the idea of what certain areas are earmarked for such as residential areas, market places, industrial layouts, schools, recreational designated areas, places for religious places of worships and so on. 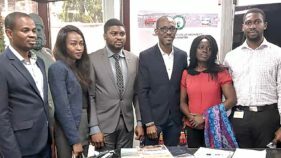 The decision to call the meeting, according to some officials, was as a result of on-going infrastructural development along the axis, “it is imperative that government begins early, the execution of Ikorodu master plan”, said the Commissioner for Physical Planning and Urban Development, Mr. Olutoyin Ayinde. The influencing infrastructure include the ongoing dualisation of Ketu-Ikorodu Road, planned expansion of Ikorodu-Agbowa-Itoikin Road, and the ongoing Agric-Ishawo-Agiliti en route Ibadan expressway. These infrastructure developments, according to officials, are to precede the revival of Odongunyan Industrial estate that was said to be the biggest industrial estate in post-colonial Lagos State. “Therefore, to prepare for the potential migration of the people from the metropolis and from the neighbouring states, especially, Ogun and Oyo and to advance the success of the megacity challenges, Ikorodu Master Plan must be properly handled, thus, the need for sentisitation of our people”, officials claimed. Besides, the proposed relocation of Mile 12 market to Parafa area of Ikorodu and the relocatiobn of Okobaba Sawmill to Agbowa, also in Ikorodu local government, are other factors that required quick implementation of the master plan. And in all these, residents must be abreast of what the plan contains, where and where certain facilities would be located, so that people would not run foul of physical development laws in the course of building their houses, do their businesses and other socio-economic activities. In his address, General Manager, Lagos State Physical Planning Permit Authority (LASPPPA), Mr. Rotimi Ayinde Abdul, a Town Planner, while emphasizing the importance of the deliberation, noted that the meeting offered a pleasant opportunity to bear peoples minds as Lagos is moving towards a sustainable Lagos Mega City. According to Abdul, Lagos, as the Nigeria’s financial and commercial hub, and looking at the United Nations’ estimate in 2006, was said to be 17.5 million but that today, it is over 20 million surpassing Cairo as Africa’s largest city. “In another report, the ‘Centre of Excellence’ is stated to be growing 10 times faster than New York and Los Angeles in United States of America”, said Abdul, saying that is an accomplished fact that the population of Lagos is growing explosively and this, to the Ministry of Physical Planning and Urban Development and its Agencies pose grave implication for urban sustainability. He noted that population of Ikorodu according to United Nation data captured in 1991 was estimated at 184,674. As at 2005, Lagos State Bureau of Statistics estimated Ikorodu population to stand at 689,045, but that government is envisaging this figure to have multiplied geometrically today. Already, we are witnessing an astronomical rise in property developments and sporadic urban growth in this area. The next couple of years and beyond will experience even greater rapid growth and transformation, particularly when some of the road projects are finally completed, saying that this is what informed the theme of discussions. “Achieving sustainable physical development requires a collective and active participation of residents, community development associations and professionals in the built industry as well as governments, both state and local. “The constructive engagement of relevant stakeholders is necessary for successful implementation of physical development plans, planning laws and regulations, so that collectively we can protect and safeguard our environment. 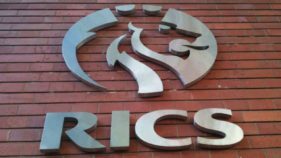 He hinted that Lagos State Physical Planning Permit Authority approved 1,674 building permit in 2013 and 1524 building permit requests were approved in 2014. Out of these approvals, 155 applications were from Ikorodu for 2013 and 130 approvals were from this same environment in 2014. Earlier, it was revealed that among the suburban such as Epe, Badagry and Ikorodu, it was only Ikorodu’s master plan that is in the pipeline, simply because of the fast growth of the population along that corridor. Another official, Ayo Adediran, head of Town Planning and Urban Development, advised that; “We cannot afford to delay any longer. We must not watch. What we have as today’s slums were yesterday’s neglect and inactions. Let us learn to plan before building, and build in conformity with physical development plans, planning and urban development laws and regulations of Lagos State”, he said, noting that it is possible to achieve a sustainable environment by adhering to planning laws and regulations. However, community leaders expressed some reservations. For example, a CDA official from Mawere, Agric, and Pastor Badejo, of Isokan Community Development Association, asked how road network would be extended to their areas without jeopardizing the existing properties. Also on relocation of Mile 12 market, they were concerned about the status of landed properties at Parafa, saying landowners have been selling parts of the land based on the information that government has jettisoned the plan, but Ayinde said that there was nothing of such. “Relocation exercise is still in the plan, so nobody should go and buy land in Lucky Fibre and Parafa, except those that had been excised to the land owners”. Others requested that the officials should take the crusade to the villages to acquaint the people of their obligations, as far as physical development is concerned. They also asked for more space for parks and garages and new markets to be incorporated in the new plan. Long overdue l will say. Land speculators had been selling land without due respect for allocation for roads, schools, markets etc. But the situation is still salvageable as there are still large expanse of land untouched. The government need to be proactive instead of waiting until properties have built on these land; then going to bulldoze them; which frankly is counter productive. Billions of Naira have been lost and many have been rendered homeless and destitute due to these actions. It is not usually the fault of the land buyers as they have been lied to by land sellers and some unscrupulous government agents.